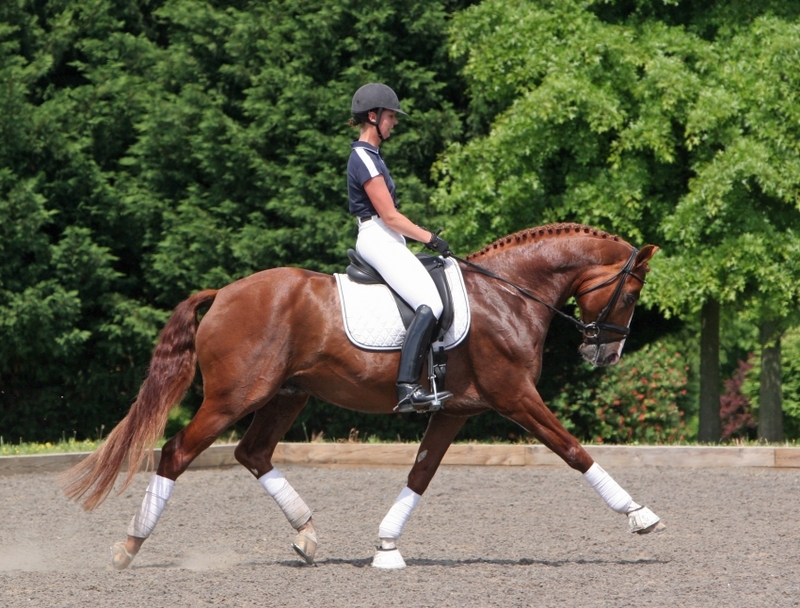 showing jump ability in stallion testing ..
Rosall, World class Dressage ability and excellent hunter. 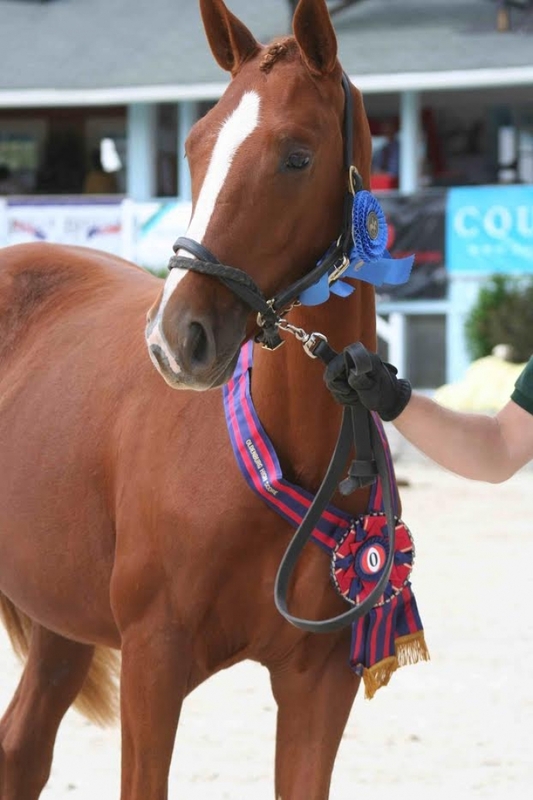 In the Spring of 2007, as Champion stallion at his 30 Day Stallion Performance Test in Munich-Reim, Rosall arrived in Maryland with owners, Kent Island Sporthorses and top trainer, JJ Tate. 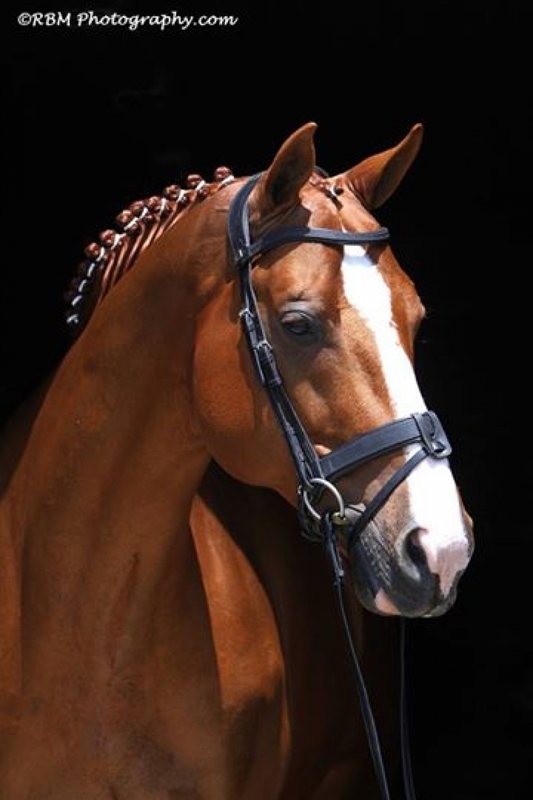 Rosall and JJ showed very successfully in Dressage, winning/placing in all of their classes from Training to Third Level and earned 2008 USEF All Breed First Place Award for the GOV at Training Level. They qualified for the National Champions as a 6 year old, earning his lifetime license from the GOV. In 2009, Rosall was the Champion Stallion of the first-ever 10 Day Advanced Stallion Performance Test of ISR/Oldenburg, NA in FL. Rosall earned an overall 129 points and a lifetime license with the registry. 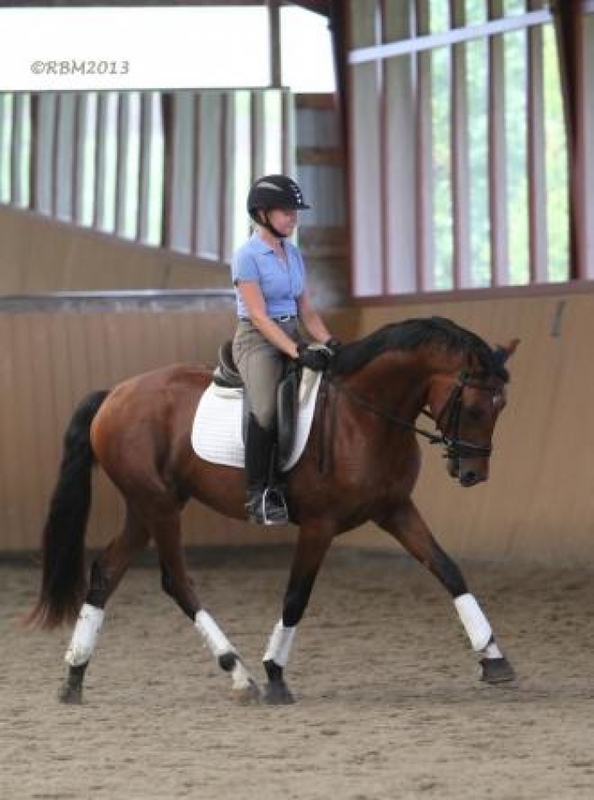 He received 9s on character, rideability, willingness to work and from his test rider, Mikaela Munter! She was impressed by his exemplary temperament and correct gaits and conformation. A compromised airway( obstructing his high collection at FEI) found Rosall looking at a career in the Hunters and within less than a year's time, in 2015-2016, he won several classes, taken a Res. Ch. at HITS, -Culpeper, and showed strength at 3'6" with a Junior rider, Rosall was then sold to adult amateur who is winning in 2016/17. 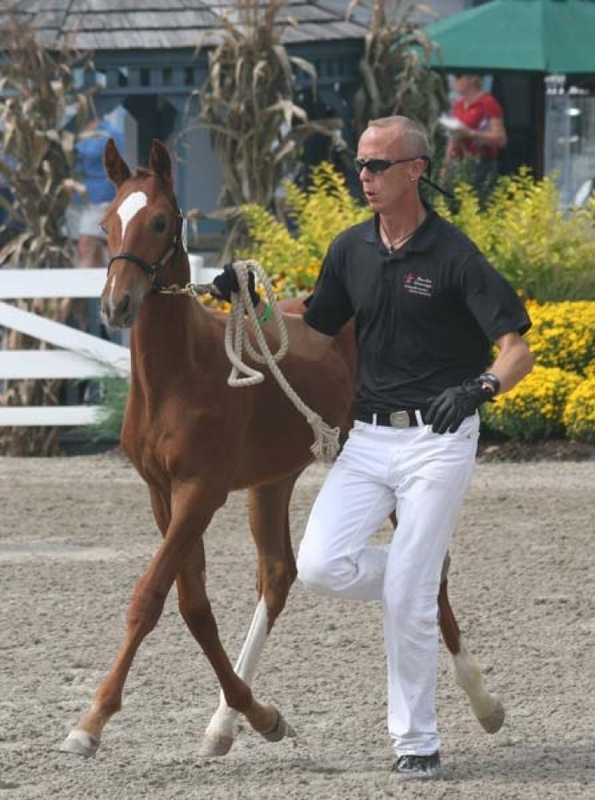 Rosall's foals have his mind, gaits and movement. All of Rosall's foals have earned Premium Status with OHBS and ISR/Old NA. At Dressage at Devon 2011 Rosalie KIS (Rosall x EM Bevolina/Brentano II) bred by Kent Island Sporthorses was the Champion IBC GOV with 77.100%, 3rd Yearling Filly 75.800% and 4th – USDF/Great American Ins. Group Filly Championship with 77.000%. 2012, she earned Reserve Ch. at Devon for the GOV Breed class, 2013, now 3 year old with an 80.2 was 4th. 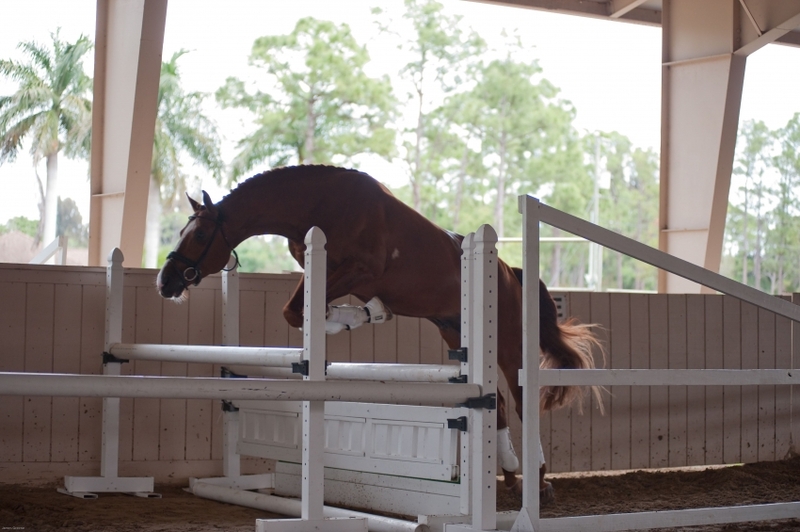 That year, a son Royal English KIS was approved as a breeding stallion by the ISR/Oldenburg NA and was scored 8.0 in all aspects of his jumping test. 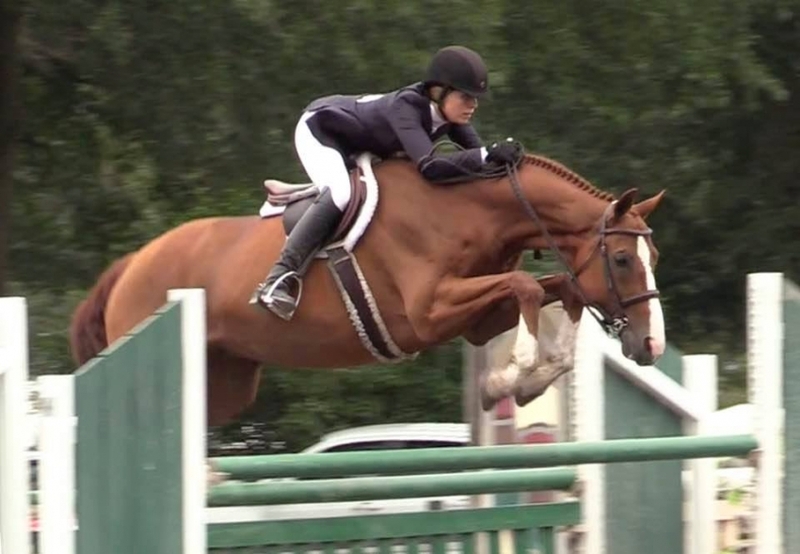 Raven competes successfully at Eventing. 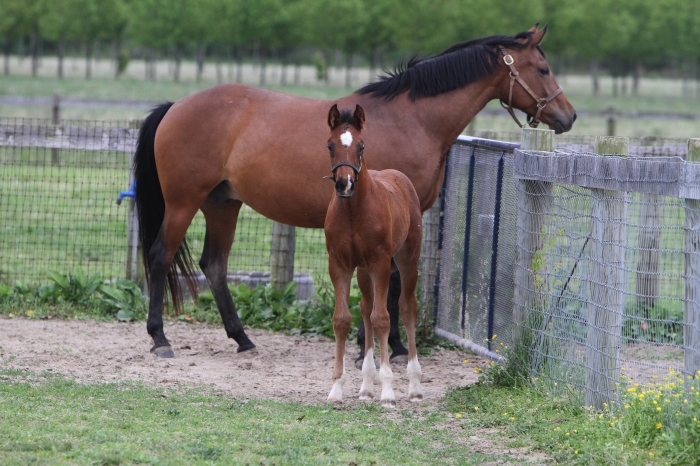 Royal Roulette KIS (Rosall and Royal Prince) and Rapunzel KIS (Rosall and TB) were both premium fillies, with Rapunzel Res.Ch.ISR/Oldenburg filly. In 2015, at Devon,Rosalie took a 4th place among huge talents, in her first under saddle class, Materiale. Currently is placing well in Midwest Dressage competitions. Raigin, a Rosall and Donavan daughter is doing well and selected to clinic with Debbie McDonald, top USA Dressage coach and Olympic veteran. Details: excellent, 8 straws to a dose. managed by Select Breeders Services. Details: Very high success rate. Will sell by half dose; Special mare discounts. Prem. /Mare, Prem. Producing, Early Booking. Multi mare, and private treaty. I am interested in learning more about Rosall.